This is the user sandbox of Nickcap27. A user sandbox is a subpage of the user's user page. It serves as a testing spot and page development space for the user and is not an encyclopedia article. Create or edit your own sandbox here. Establishment of the Student Union, and creation of the United America party. 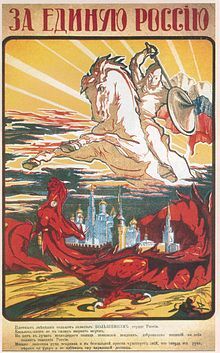 The Russian Civil War (Russian: Гражданская война́ в Росси́и Grazhdanskaya voyna v Rossiy) (November 1917 – October 1922) was a multi-party war in the former Russian Empire fought between the Bolshevik Red Army and their loosely allied opponents, known as the White Army. Many foreign militaries warred against the Red Army, notably the Allied Forces and the pro-German armies. The Red Army defeated the White Armed Forces of South Russia in Ukraine and the army led by Aleksandr Kolchak in Siberia in 1919. The remains of the White forces commanded by Pyotr Nikolayevich Wrangel were beaten in Crimea and evacuated in late 1920. Many pro-independence movements emerged after the break-up of the Russian Empire and fought in the war. A number of them – Finland, Estonia, Latvia, Lithuania, and Poland – were established as sovereign states. The rest of the former Russian Empire was consolidated into the Soviet Union shortly afterwards. The February Revolution of 2014 was the first major violent protest from the Student Movement during the United School Revolution. The event first started when protesters formed in the streets of Concord, New Hampshire. The citizens were chanting about freedom of high school students, and how public schools now feel unsafe and are very similar to prison. Protesters were holding American flags, along with the official Student Movement flag. At first, it seemed like a safe and well under controlled street protest. Only a few police officers were called to monitor the protest until it ends. Suddenly, during the protest, five shots were fired from a crowd of protesters. Two of the five bullets impacted a police officer, killing him instantly. This was a signal to the other protesters that it was time for them to start fighting as well. The protesters started throwing Molotov cocktails in the streets, causing roaring fires to blaze. The SWAT team was then called, and arrived within ten minutes. In June 1918, when it became apparent that a revolutionary army composed solely of workers would be far too small, Trotsky instituted mandatory conscription of the rural peasantry into the Red Army. Opposition of rural Russians to Red Army conscription units was overcome by taking hostages and shooting them when necessary in order to force compliance, exactly the same practices used by the White Army officers. Former Tsarist officers were utilized as "military specialists" (voenspetsy), sometimes taking their families hostage in order to ensure loyalty. At the start of the war, three quarters of the Red Army officer corps was composed of former Tsarist officers. By its end, 83% of all Red Army divisional and corps commanders were ex-Tsarist soldiers. While resistance to the Red Guard began on the very next day after the Bolshevik uprising, the Treaty of Brest-Litovsk and the political ban became a catalyst for the formation of anti-Bolshevik groups both inside and outside Russia, pushing them into action against the new regime. A Ukrainian nationalist movement known as the Green Army was active in Ukraine in the early part of the war. More significant was the emergence of an anarchist political and military movement known as the Revolutionary Insurrectionary Army of Ukraine or the Anarchist Black Army led by Nestor Makhno. The Black Army, which counted numerous Jews and Ukrainian peasants in its ranks, played a key part in halting General Denikin's White Army offensive towards Moscow during 1919, later ejecting Cossack forces from Crimea. The remoteness of the Volga Region, the Ural Region, Siberia, and the Far East was favourable for the anti-Bolshevik powers, and the Whites set up a number of organizations in the cities of these regions. Some of the military forces were set up on the basis of clandestine officers' organisations in the cities. The Czechoslovak Legions had been part of the Russian army and numbered around 30,000 troops by October 1917. They had an agreement with the new Bolshevik government to be evacuated from the Eastern Front via the Port of Vladivostok to France. The transport from the Eastern Front to the Port of Vladivostok slowed down in the chaos, and the troops became dispersed all along the Trans-Siberian Railway. Under pressure from the Central Powers, Trotsky ordered the disarmament and arrest of the legionaries, which created tensions with the Bolsheviks. The Western Allies also expressed their dismay at the Bolsheviks. They were worried about (1) a possible Russo-German alliance, (2) the prospect of the Bolsheviks making good their threats to assume no responsibility for, and so default on, Imperial Russia's massive foreign loans and (3) that the communist revolutionary ideas would spread (a concern shared by many Central Powers). Hence, many of these countries expressed their support for the Whites, including the provision of troops and supplies. Winston Churchill declared that Bolshevism must be "strangled in its cradle". The British and the French had supported Russia on a massive scale with war materials. After the treaty, it looked like much of that material would fall into the hands of the Germans. Under this pretext began allied intervention in the Russian Civil War with the United Kingdom and France sending troops into Russian ports. There were violent confrontations with troops loyal to the Bolsheviks. The German Empire created several short-lived satellite buffer states within its sphere of influence after the Treaty of Brest-Litovsk: the "United Baltic Duchy", "Duchy of Courland and Semigallia", "Kingdom of Lithuania", "Kingdom of Poland", the "Belarusian People’s Republic", and the "Ukrainian State". Following the defeat of Germany in World War I in November 1918, these states were abolished. Finland was the first republic that declared its independence from Russia in December 1917 and established itself in the ensuing Finnish Civil War from January to May 1918. The Second Polish Republic, Lithuania, Latvia, and Estonia formed their armies immediately after the abolition of the Brest-Litovsk Treaty and the start of the Soviet westward offensive in November 1918. In the European part of Russia, the war was fought across three main fronts: the eastern, the southern, and the northwestern. It can also be roughly split into the following periods. Most of the fighting in this first period was sporadic, involving only small groups amid a fluid and rapidly shifting strategic scene. Among the antagonists were the Czechoslovaks, known as the Czechoslovak Legion or "White Czechs", the Poles of the Polish 5th Rifle Division, and the pro-Bolshevik Red Latvian riflemen. The second period of the war lasted from January to November 1919. At first the White armies' advances from the south (under General Denikin), the east (under Admiral Kolchak), and the northwest (under General Yudenich) were successful, forcing the Red Army and its leftist allies back on all three fronts. In July 1919, the Red Army suffered another reverse after a mass defection of Red Army units in the Crimea to the anarchist Black Army under Nestor Makhno, enabling anarchist forces to consolidate power in Ukraine. The third period of the war was the extended siege of the last White forces in the Crimea. Wrangel had gathered the remnants of Denikin's armies, occupying much of the Crimea. An attempted invasion of southern Ukraine was rebuffed by the anarchist Black Army under the command of Nestor Makhno. Pursued into the Crimea by Makhno's troops, Wrangel went over to the defensive in the Crimea. 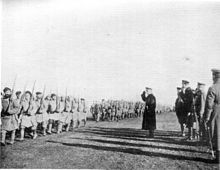 After an abortive move north against the Red Army, Wrangel's troops were forced south by Red Army and Black Army forces; Wrangel and the remains of his army were evacuated to Constantinople in November 1920. In the October Revolution, the Bolshevik Party directed the Red Guard (armed groups of workers and Imperial army deserters) to seize control of Petrograd (Saint Petersburg), and immediately began the armed takeover of cities and villages throughout the former Russian Empire. In January 1918, the Bolsheviks dissolved the Russian Constituent Assembly, and proclaimed the Soviets (workers’ councils) as the new government of Russia. Summer 1917 in Russia near Moscow. In the park of the dacha, a German babushka and her two granddaughters. The children fled with their Swiss parents (probably in 1921) to Switzerland in a dramatic escape, living first in the South of Russia (Rostov-on-Don), later fleeing through Odessa by sealed cattle carriage to Warsaw. When the family arrived in Basel, they had to endure an obliged quarantine. The initial groups that fought against the Communists were local Cossack armies that had declared their loyalty to the Provisional Government. Kaledin of the Don Cossacks and Semenov of the Siberian Cossacks were prominent among them. The leading Tsarist officers of the old regime also started to resist. In November, General Alekseev, the Tsar's Chief-of-Staff during the First World War, began to organise the Volunteer Army in Novocherkassk. Volunteers of this small army were mostly officers of the old Russian army, military cadets and students. In December 1917, Alekseev was joined by Kornilov, Denikin, and other Tsarist officers who had escaped from the jail where they had been imprisoned following the abortive Kornilov affair just before the Revolution. At the beginning of December 1917, groups of volunteers and Cossacks captured Rostov. Having stated in the November 1917 “Declaration of Rights of Nations of Russia” that any nation under imperial Russian rule should be immediately given the power of self-determination, the Bolsheviks had begun to usurp the power of the Provisional Government in the territories of Central Asia soon after the establishment of the Turkestan Committee in Tashkent. In April 1917, the Provisional Government set up this committee, which was mostly made up of former tsarist officials. 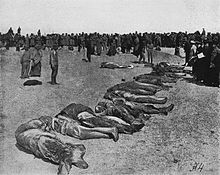 The Bolsheviks attempted to take control of the Committee in Tashkent on 12 September 1917, but their mission was unsuccessful, and many Bolshevik leaders were arrested. However, because the Committee lacked representation of the native population and poor Russian settlers, they had to release the Bolshevik prisoners almost immediately due to public outcry, and a successful takeover of this government body took place two months later in November. The success of the Bolshevik party over the Provisional Government during 1917 was mostly due to the support they received from the working class of Central Asia. The Leagues of Mohammedam Working People, which Russian settlers and natives who had been sent to work behind the lines for the Tsarist government in 1916 formed in March 1917, had led numerous strikes in the industrial centers throughout September 1917. However, after the Bolshevik destruction of the Provisional Government in Tashkent, Muslim elites formed an autonomous government in Turkestan, commonly called the "Kokand autonomy" (or simply Kokand). The White Russians supported this government body, which lasted several months because of Bolshevik troop isolation from Moscow. In January 1918 the Soviet forces under Lieutenant Colonel Muravyov invaded Ukraine and invested Kiev, where the Central Council of the Ukrainian People's Republic held power. With the help of the Kiev Arsenal Uprising, the Bolsheviks captured the city on 26 January. The Bolsheviks decided to immediately make peace with the German Empire and the Central Powers, as they had promised the Russian people before the Revolution. Vladimir Lenin's political enemies attributed that decision to his sponsorship by the foreign office of Wilhelm II, German Emperor, offered to Lenin in hope that, with a revolution, Russia would withdraw from World War I. That suspicion was bolstered by the German Foreign Ministry's sponsorship of Lenin's return to Petrograd. However, after the military fiasco of the summer offensive (June 1917) by the Russian Provisional Government, and in particular after the failed summer offensive of the Provisional Government had devastated the structure of the Russian Army, it became crucial that Lenin realize the promised peace. Even before the failed summer offensive the Russian population was very sceptical about the continuation of the war. Western socialists had promptly arrived from France and from the UK to convince the Russians to continue the fight but could not change the new pacifist mood of Russia. On 16 December 1917, an armistice was signed between Russia and the Central Powers in Brest-Litovsk and peace talks began. 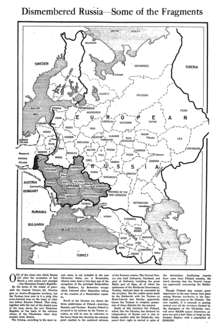 As a condition for peace, the proposed treaty by the Central Powers conceded huge portions of the former Russian Empire to the German Empire and the Ottoman Empire, greatly upsetting nationalists and conservatives. Leon Trotsky, representing the Bolsheviks, refused at first to sign the treaty while continuing to observe a unilateral cease fire, following the policy of "No war, no peace". In view of this, on 18 February 1918, the Germans began Operation Faustschlag on the Eastern Front, encountering virtually no resistance in a campaign that lasted eleven days. Signing a formal peace treaty was the only option in the eyes of the Bolsheviks because the Russian army was demobilized, and the newly formed Red Guard was incapable of stopping the advance. They also understood that the impending counterrevolutionary resistance was more dangerous than the concessions of the treaty, which Lenin viewed as temporary in the light of aspirations for a world revolution. 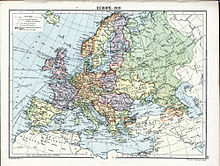 The Soviets acceded to a peace treaty, and the formal agreement, the Treaty of Brest-Litovsk, was ratified on 6 March. The Soviets viewed the treaty as merely a necessary and expedient means to end the war. Therefore, they ceded large amounts of territory to the German Empire. Under Soviet pressure, the Volunteer Army embarked on the epic Ice March from Yekaterinodar to Kuban on 22 February 1918, where they joined with the Kuban Cossacks to mount an abortive assault on Yekaterinodar. The Soviets recaptured Rostov on the next day. 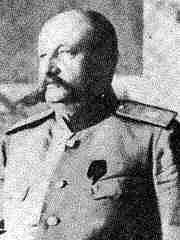 General Kornilov was killed in the fighting on 13 April, and General Denikin took over the command. Fighting off its pursuers without respite, the army succeeded in breaking its way through back towards the Don, where the Cossack uprising against Bolsheviks had started. The Baku Soviet Commune was established on 13 April. Germany landed its Caucasus Expedition troops in Poti on 8 June. The Ottoman Army of Islam (in coalition with Azerbaijan) drove them out of Baku on 26 July 1918. Subsequently, the Dashanaks, Right SRs and Mensheviks started negotiations with General Dunsterville, the commander of the British troops in Persia. The Bolsheviks and their Left SR allies were opposed to it, but on 25 July the majority of the Soviet voted to call in the British, and the Bolsheviks resigned. The Baku Soviet Commune ended its existence and was replaced by the Central Caspian Dictatorship. In June 1918, the Volunteer Army, numbering some 9,000 men, started its second Kuban campaign. Yekaterinodar was encircled on 1 August and fell on the 3rd. In September–October, heavy fighting took place at Armavir and Stavropol. On 13 October, General Kazanovich's division took Armavir, and on 1 November, general Pyotr Wrangel secured Stavropol. This time Red forces had no escape, and by the beginning of 1919, the whole Northern Caucasus was free from Bolsheviks. In October, General Alekseev, the leader for the White armies in southern Russia, died of a heart attack. An agreement was reached between Denikin, head of the Volunteer Army, and PN Krasnov, Ataman of the Don Cossacks, which united their forces under the sole command of Denikin. The Armed Forces of South Russia were thus created. The Revolt of the Czechoslovak Legion broke out in May 1918, and the legionaries took control of Chelyabinsk in June. Simultaneously, Russian officers' organisations overthrew the Bolsheviks in Petropavlovsk and in Omsk. Within a month the Whites controlled most of the Trans-Siberian Railroad from Lake Baikal to the Ural regions. During the summer, Bolshevik power in Siberia was eliminated. The Provisional Government of Autonomous Siberia formed in Omsk. By the end of July, the Whites had extended their gains westwards, capturing Ekaterinburg on 26 July 1918. Shortly before the fall of Yekaterinburg on 17 July 1918, the former Tsar and his family were executed by the Ural Soviet to prevent them falling into the hands of the Whites. The Mensheviks and Socialist-Revolutionaries supported peasants fighting against Soviet control of food supplies. In May 1918, with the support of the Czechoslovak Legion, they took Samara and Saratov, establishing the Committee of Members of the Constituent Assembly – known as the "Komuch". By July, the authority of the Komuch extended over much of the area controlled by the Czechoslovak Legion. The Komuch pursued an ambivalent social policy, combining democratic and even socialist measures, such as the institution of an eight-hour working day, with "restorative" actions, such as returning both factories and land to their former owners. After the fall of Kazan Vladimir Lenin called for the dispatch of Petrograd workers to the Kazan Front: "We must send down the maximum number of Petrograd workers: (1) a few dozen 'leaders' like Kayurov; (2) a few thousand militants 'from the ranks'". After a series of reverses at the front, War Commissar Trotsky instituted increasingly harsh measures in order to prevent unauthorized withdrawals, desertions, or mutinies in the Red Army. In the field, the Cheka special investigations forces, termed the Special Punitive Department of the All-Russian Extraordinary Commission for Combat of Counter-Revolution and Sabotage, or Special Punitive Brigades, followed the Red Army, conducting field tribunals and summary executions of soldiers and officers who deserted, retreated from their positions, or failed to display sufficient offensive zeal. Trotsky extended the use of the death penalty to the occasional political commissar whose detachment retreated or broke in the face of the enemy. In August, frustrated at continued reports of Red Army troops breaking under fire, Trotsky authorized the formation of barrier troops stationed behind unreliable Red Army units, with orders to shoot anyone withdrawing from the battle-line without authorisation. Czechoslovak legionaries of the 8th regiment killed by Bolsheviks at Nikolsk Ussuriysky, 1918. In September 1918, Komuch, the Siberian Provisional Government, and other local anti-Soviet governments met in Ufa and agreed to form a new Provisional All-Russian Government in Omsk, headed by a Directory of five: three Socialist-Revolutionaries (Nikolai Avksentiev, Boldyrev, and Vladimir Zenzinov) and two Kadets, (VA Vinogradov and PV Vologodskii). By the fall of 1918, Anti-Bolshevik White Forces in the east included the People's Army (Komuch), the Siberian Army (of the Siberian Provisional Government) and insurgent Cossack units of Orenburg, Ural, Siberia, Semirechye, Baikal, Amur, and Ussuri Cossacks, nominally under the orders of general VG Boldyrev, Commander-in-Chief, appointed by the Ufa Directorate. On the Volga, Colonel Kappel's White detachment captured Kazan 7 August, but the Reds re-captured the city on 8 September 1918 following the Red counter-offensive. On the 11th, Simbirsk fell, and on 8 October, Samara. The Whites fell back eastwards to Ufa and Orenburg. In Omsk, the Russian Provisional Government quickly came under the influence of the its new War Minister, Rear-Admiral Kolchak. On 18 November, a coup d'état established Kolchak as dictator. The members of the Directory were arrested and Kolchak proclaimed the "Supreme Ruler of Russia". By mid-December 1918, White armies in the east had to leave Ufa, but they balanced this failure with a successful drive towards Perm. Perm was taken on 24 December. In February 1918 the Red Army overthrew the White Russian-supported Kokand autonomy of Turkestan. Although this move seemed to solidify Bolshevik power in Central Asia, more troubles soon arose for the Red Army as the Allied Forces began to intervene. 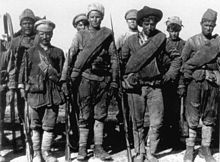 British support of the White Army provided the greatest threat to the Red Army in Central Asia during 1918. Great Britain sent three prominent military leaders to the area. One was Lieutenant-Colonel Bailey, who recorded a mission to Tashkent, from where the Bolsheviks forced him to flee. Another was General Malleson, leading the Malleson Mission, who assisted the Mensheviks in Ashkhabad (now the capital of Turkmenistan) with a small Anglo-Indian force. However, he failed to gain control of Tashkent, Bukhara, and Khiva. The third was Major-General Dunsterville, who the Bolsheviks drove out of Central Asia only a month after his arrival in August 1918. Despite setbacks due to British invasions during 1918, the Bolsheviks continued to make progress in bringing the Central Asian population under their influence. The first regional congress of the Russian Communist Party convened in the city of Tashkent in June 1918 in order to build support for a local Bolshevik Party. In July, two Left SR and Cheka employees, Blyumkin and Andreyev, assassinated the German ambassador, Count Mirbach. In Moscow Left SR uprising was put down by the Bolsheviks, using the Cheka military detachments. Lenin personally apologised to the Germans for the assassination. Mass arrests of Socialist-Revolutionaries followed. Estonia cleared its territory from the Red Army by January 1919. Baltic German volunteers captured Riga from the Red Latvian Riflemen on 22 May, but the Estonian 3rd Division defeated the Baltic Germans a month later, aiding to establish the Republic of Latvia in power. This rendered possible another threat to the Red Army – one from General Yudenich, who had spent the summer organizing the Northwestern Army in Estonia with local and British support. In October 1919, he tried to capture Petrograd in a sudden assault with a force of around 20,000 men. The attack was well-executed, using night attacks and lightning cavalry maneuvers to turn the flanks of the defending Red Army. Yudenich also had six British tanks, which caused panic whenever they appeared. The Allies gave large quantities of aid to Yudenich, who, however, complained that he was receiving insufficient support. By 19 October, Yudenich's troops had reached the outskirts of the city. Some members of the Bolshevik central committee in Moscow were willing to give up Petrograd, but Trotsky refused to accept the loss of the city and personally organized its defenses. He declared, "It is impossible for a little army of 15,000 ex-officers to master a working class capital of 700,000 inhabitants." He settled on a strategy of urban defense, proclaiming that the city would "defend itself on its own ground" and that the White Army would be lost in a labyrinth of fortified streets and there "meet its grave". Trotsky armed all available workers, men and women, ordering the transfer of military forces from Moscow. Within a few weeks the Red Army defending Petrograd had tripled in size and outnumbered Yudenich three to one. At this point Yudenich, short of supplies, decided to call off the siege of the city and withdrew, repeatedly asking permission to withdraw his army across the border to Estonia. However, units retreating across the border were disarmed and interned by order of the Estonian government, which had entered into peace negotiations with the Soviet Government on 16 September and had been informed by the Soviet authorities of their 6 November decision that, should the White Army be allowed to retreat into Estonia, it would be pursued across the border by the Reds. In fact the Reds attacked Estonian army positions, and fighting continued until a ceasefire came into effect on 3 January 1920. Following the Treaty of Tartu most of Yudenich's soldiers went into exile. The Finnish general Mannerheim planned a Finnish intervention to help the Whites in Russia capture Petrograd. He did not, however, gain the necessary support for the endeavor. Lenin considered it "completely certain, that the slightest aid from Finland would have determined the fate of Petrograd". The British occupied Murmansk and, alongside the Americans, seized Arkhangelsk. With the retreat of Kolchak in Siberia, they pulled their troops out of the cities before the winter trapped their forces in the port. At the beginning of March 1919, the general offensive of the Whites on the eastern front began. Ufa was retaken on 13 March; by mid-April, the White Army stopped at the Glazov-Chistopol-Bugulma-Buguruslan-Sharlyk line. Reds started their counter-offensive against Kolchak's forces at the end of April. The Red Army, led by the capable commander Tukhachevsky, captured Elabuga on 26 May, Sarapul on 2 June, and Izevsk on the 7th and continued to push forward. Both sides had victories and losses, but by the middle of summer the Red Army was larger than the White Army and had managed to recapture territory previously lost. Following the abortive offensive at Chelyabinsk, the White armies withdrew beyond the Tobol. In September 1919, White offensive was launched against the Tobol front, the last attempt to change the course of events. But on 14 October, the Reds counterattacked and then began the uninterrupted retreat of the Whites to the east. On 14 November 1919, the Red Army captured Omsk. Admiral Kolchak lost control of his government shortly after this defeat; White Army forces in Siberia essentially ceased to exist by December. Retreat of the eastern front by White armies lasted three months, until mid-February 1920, when the survivors, after crossing Lake Baikal, reached Chita area and joined Ataman Semenov's forces. Denikin's military strength continued to grow in the spring of 1919. During the several months in winter and spring of 1919, hard fighting with doubtful outcomes took place in the Donets basin where the attacking Bolsheviks met White forces. At the same time, Denikin's Armed Forces of South Russia (AFSR) completed the elimination of Red forces in the northern Caucasus and advanced towards Tsaritsyn. At the end of April and beginning of May, the AFSR attacked on all fronts from the Dnepr to the Volga, and by the beginning of the summer they had won numerous battles. French forces landed in Odessa but after having done almost no fighting, withdrew their troops on 8 April 1919. By mid-June the Reds were chased from the Crimea and from the Odessa area. Denikin's troops took the cities of Kharkov and Belgorod. At the same time White troops under Wrangel's command took Tsaritsyn on 17 June 1919. On 20 June, Denikin issued his famous "Moscow directive", ordering all AFSR units to get ready for a decisive offensive to take Moscow. Although Great Britain had withdrawn its own troops from the theater, it continued to give significant military aid (money, weapons, food, ammunition, and some military advisors) to the White armies during 1919. After the capture of Tsaritsyn, Wrangel pushed towards Saratov, but Trotsky, seeing the danger of the union with Kolchak, against whom the Red command was concentrating large masses of troops, repulsed his attempts with heavy losses. When Kolchak's army in the east began to retreat in June and July, the bulk of the Red Army, free now from any serious danger from Siberia, was directed against Denikin. Denikin's forces constituted a real threat and for a time threatened to reach Moscow. The Red Army, stretched thin by fighting on all fronts, was forced out of Kiev on 30 August. Kursk and Orel were taken. The Cossack Don Army under the command of General Konstantin Mamontov continued north towards Voronezh, but there Tukhachevsky's army defeated them on 24 October. Tukhachevsky's army then turned towards yet another threat, the rebuilt Volunteer Army of General Denikin. The high tide of the White movement against the Soviets had been reached in September 1919. By this time Denikin's forces were dangerously overextended. The White front had no depth or stability: it had become a series of patrols with occasional columns of slowly advancing troops without reserves. Lacking ammunition, artillery, and fresh reinforcements, Denikin's army was decisively defeated in a series of battles in October and November 1919. The Red Army recaptured Kiev on 17 December, and the defeated Cossacks fled back towards the Black Sea. While the White armies were being routed in the center and the east, they had succeeded in driving Nestor Makhno's anarchist Black Army (formally known as the Revolutionary Insurrectionary Army of Ukraine) out of part of southern Ukraine and the Crimea. Despite this setback, Moscow was loath to aid Makhno and the Black Army and refused to provide arms to anarchist forces in Ukraine. The main body of White forces, the Volunteers and the Don Army, pulled back towards the Don, to Rostov. The smaller body (Kiev and Odessa troops) withdrew to Odessa and the Crimea, which it had managed to protect from the Bolsheviks during the winter of 1919–1920. By February 1919 the British government had pulled their military forces out of Central Asia. Despite this success for the Red Army, the White Army’s assaults in European Russia and other areas broke communication between Moscow and Tashkent. For a time, Central Asia was completely cut off from the Red Army forces in Siberia. Although this communication failure weakened the Red Army, the Bolsheviks continued their efforts to gain support for the Bolshevik Party in Central Asia by holding a second regional conference in March. During this conference a regional bureau of Muslim organizations of the Russian Bolshevik Party was formed. The Bolshevik Party continued to try and gain support among the native population by giving them the impression of better representation for the Central Asian population and throughout the end of the year were able to maintain harmony with the Central Asian people. Communication difficulties with the Red Army forces in Siberia and European Russia ceased to be a problem by mid-November 1919. Due to Red Army success north of Central Asia, communication with Moscow was re-established, and the Bolsheviks were able to claim victory over the White Army in Turkestan. Victims of the Russian famine of 1921. By the beginning of 1920, the main body of the Armed Forces of South Russia was rapidly retreating towards the Don, to Rostov. Denikin hoped to hold the crossings of the Don, rest, and reform his troops, but the White Army was not able to hold the Don area and at the end of February 1920, started a retreat across Kuban towards Novorossiysk. Slipshod evacuation of Novorossiysk proved to be a dark event for the White Army. About 40,000 men were evacuated by Russian and Allied ships from Novorossiysk to the Crimea, without horses or any heavy equipment, while about 20,000 men were left behind and either dispersed or captured by the Red Army. Following the disastrous Novorossiysk evacuation, Denikin stepped down, and the military council elected Wrangel as the new Commander-in-Chief of the White Army. He was able to restore order with dispirited troops and reshape an army that could fight as a regular force again. This remained an organised force in the Crimea throughout 1920. After Moscow's Bolshevik government signed a military and political alliance with Nestor Makhno and the Ukrainian anarchists, the Black Army attacked and defeated several regiments of Wrangel's troops in southern Ukraine, forcing him to retreat before he could capture that year's grain harvest. Stymied in his efforts to consolidate his hold, Wrangel then attacked north in an attempt to take advantage of recent Red Army defeats at the close of the Polish-Soviet War of 1919–1920. This offensive was eventually halted by the Red Army, and Wrangel's troops were forced to retreat to the Crimea in November 1920, pursued by both the Red and Black cavalry and infantry. Wrangel and the remains of his army were evacuated from the Crimea to Constantinople on 14 November 1920. Thus ended the struggle of Reds and Whites in Southern Russia. After the defeat of Wrangel, the Red Army immediately repudiated its 1920 treaty of alliance with Nestor Makhno and attacked the anarchist Black Army; the campaign to liquidate Makhno and the Ukrainian anarchists began with an attempted assassination of Makhno by the Cheka agents. Angered by continued repression by the Bolshevik Communist government and its liberal use of the Cheka to put down anarchist elements, a naval mutiny erupted at Kronstadt, followed by peasant revolts. Red Army attacks on the anarchist forces and their sympathizers increased in ferocity throughout 1921. In Siberia, Admiral Kolchak's army had disintegrated. He himself gave up command after the loss of Omsk and designated Grigory Semyonov as the new leader of the White Army in Siberia. Not long after this, Kolchak was arrested by the disaffected Czechoslovak Corps as he traveled towards Irkutsk without the protection of the army and turned over to the socialist Political Centre in Irkutsk. Six days later, this regime was replaced by a Bolshevik-dominated Military-Revolutionary Committee. On 6–7 February, Kolchak and his prime minister Victor Pepelyaev were shot and their bodies thrown through the ice of the frozen Angara River, just before the arrival of the White Army in the area. Remnants of Kolchak's army reached Transbaikalia and joined Grigory Semyonov's troops, forming the Far Eastern army. With the support of the Japanese Army, it was able to hold Chita, but after withdrawal of Japanese soldiers from Transbaikalia, Semenov's position become untenable, and in November 1920 he was repulsed by the Red Army from Transbaikalia and took refuge in China. The Japanese, who had plans to annex the Amur Krai, finally pulled their troops out as the Bolshevik forces gradually asserted control over the Russian Far East. On 25 October 1922, Vladivostok fell to the Red Army, and the Provisional Priamur Government was extinguished. The results of the civil war were momentous. Soviet demographer Boris Urlanis estimated total number of men killed in action in the Civil War and Polish-Soviet war as 300,000 (125,000 in the Red Army, 175,500 White armies and Poles) and the total number of military personnel dead from disease (on both sides) as 450,000. During the Red Terror, the Cheka carried out at least 250,000 summary executions of "enemies of the people" with estimates reaching above a million. Another one to two million people, known as the White émigrés, fled Russia – many with General Wrangel, some through the Far East, others west into the newly independent Baltic countries. These émigrés included a large part of the educated and skilled population of Russia. The Russian economy was devastated by the war, with factories and bridges destroyed, cattle and raw materials pillaged, mines flooded, and machines damaged. The industrial production value descended to one seventh of the value of 1913, and agriculture to one third. According to Pravda, "The workers of the towns and some of the villages choke in the throes of hunger. The railways barely crawl. The houses are crumbling. The towns are full of refuse. Epidemics spread and death strikes – industry is ruined." British historian Orlando Figes has contended that the root of the Whites' defeat was their inability to dispel the popular image that they were dually associated with Tsarist Russia and supportive of a Tsarist restoration. October 1917 - Kerensky and his supporters flee Petrograd. 5 January 1918 - The Red Guard break up a meeting of the Constituent Assembly on Lenin's orders. 1920 Nikolayevsk Incident: anarchist Yakov Triapitsyn massacred most of the inhabitants of the town of Nikolayevsk-on-Amur in the Russian Far East. 28 January 1918 - Trotsky sets up the Red army. March 1918 - Bolsheviks move the Russian capital to Moscow from Petrograd for protection and better communications as it is in the centre of their territory. 14 October 1919 - Denikins army reaches Orel 300 km from Moscow. 22 October 1919 - White forces reach the outskirts of Petrograd. Trotsky organises a counterattack. Early November 1919 - Western allies pull the plug on support for the whites. Troops begin to desert. 7 February 1920 - Kolchak is executed by the Bolsheviks after being handed over by the Czech Legion. 1921 - Some groups continue to fight but the Whites are beaten. Chevengur (novel) [ru] (written in 1927, first published in 1988 in the USSR) by Andrei Platonov. ^ a b Bullock, p. 7 "Peripheral regions of the former Russian Empire that had broken away to form new nations had to fight for independence: Finland, Poland, Estonia, Lithuania, Latvia, Belarus, Ukraine, Georgia and Azerbaijan." ^ Williams, Beryl, The Russian Revolution 1917–1921, Blackwell Publishing Ltd. (1987), ISBN 978-0-631-15083-1, ISBN 0-631-15083-8: Typically, men of conscriptible age (17–40) in a village would vanish when Red Army draft units approached. The taking of hostages and a few exemplary executions usually brought the men back. ^ a b Orlando Figes, A people's tragedy – History of the Russian Revolution (Penguin Books 1996): To mobilize the peasants Kolchak's army resorted increasingly to terror. There was no effective local administration to enforce the conscription in any other way, and in any case the Whites' world-view ruled out the need to persuade the peasants. It was taken for granted that it was the peasants place to serve in the White army, just as he had served in the ranks of the Tsar's, and that if he refused it was the army's right to punish him, even executing him if necessary as a warning to the others. Peasants were flogged and tortured, hostages were taken and shot, and whole villages were burned to the ground to force the conscripts into the army. Kolchak's cavalry would ride into towns on market day, round up the young men at gunpoint and take them off to the Front. Much of this terror was concealed from the Allies so as not to jeopardize their aid. But General Graves, the commander of the US troops, was well informed and was horrified by it. As he realized, the mass conscription of the peasantry 'was a long step towards the end of Kolchak's regime'. It soon destroyed the discipline and fighting morale of his army. Of every five peasants forcibly conscripted, four would desert: many of them ran off to the Reds, taking with them their supplies. Knox was livid when he first saw the Red troops on the Eastern Front: they were wearing British uniforms. From the start of its campaign, Kolchak's army was forced to deal with numerous peasant revolts in the rear, notably in Slavgorod, south-east of Omsk, and in Minusinsk on the Yenisei. The White requisitioning and mobilizations were their principal cause. Without its own structures of local government in the rural areas, Kolchak's regime could do very little, other than send in the Cossacks with their whips, to stop the peasants from reforming their Soviets to defend the local village revolution. By the height of the Kolchak offensive, whole areas of the Siberian rear were engulfed by peasant revolts. ^ Overy, R.J., The Dictators: Hitler's Germany and Stalin's Russia, W.W. Norton & Company (2004), ISBN 0-393-02030-4, ISBN 978-0-393-02030-4, p. 446: By the end of the civil war, one-third of all Red Army officers were ex-Tsarist voenspetsy. ^ P. and Coates, Soviets in Central Asia, 68–69. ^ Orlando Figes, in A people's tragedy – History of the Russian Revolution (Penguin Books 1996), wrote: As Brusilov saw it, the soldiers were so obsessed with the idea of peace that they would have been prepared to support the Tsar himself, so long as he promised to bring the war to an end. This alone, Brusilov claimed, rather than the belief in some abstract 'socialism', explained their attraction to the Bolsheviks. The mass of the soldiers were simple peasants, they wanted land and freedom, and they began to call this 'Bolshevism' because only that party promised peace. This 'trench Bolshevism', as Allan Wildman has called it in his magisterial study of the Russian army during 1917, was not necessarily organized through formal party channels, or even encouraged by the Bolshevik agents. ^ Orlando Figes, in A people's tragedy – History of the Russian Revolution (Penguin Books 1996) wrote: It was partly a case of the usual military failings: units had been sent into battle without machine-guns; untrained soldiers had been ordered to engage in complex manoeuvres using hand grenades and ended up throwing them without first pulling the pins. But the main reason for the fiasco was the simple reluctance of the soldiers to fight. Having advanced two miles, the front-line troops felt they had done their bit and refused to go any further, while those in the second line would not take their places. The advance thus broke down as the men began to run away. In one night alone the shock battalions of the Eleventh Army arrested 12,000 deserters near the town of Volochinsk. Many soldiers turned their guns against their commanding officers rather... than fight against the enemy. The retreat degenerated into chaos as soldiers looted shops and stores, raped peasant girls and murdered Jews. The collapse of the offensive dealt a fatal blow to the Provisional Government and the personal authority of its leaders. Hundreds of thousands of soldiers were killed. Millions of square miles of territory were lost. The leaders of the government had gambled everything on the offensive in the hope that it might rally the country behind them in the national defence of democracy. The coalition had been based upon this hope; and it held together as long as there was a chance of military success. But as the collapse of the offensive became clear, so the coalition fell apart. ^ Orlando Figes, A people's tragedy – History of the Russian Revolution (Penguin Books 1996): This new civic patriotism did not extend beyond the urban middle classes, although the leaders of the Provisional Government deluded themselves that it did. The visit of the Allied socialists – Albert Thomas from France, Emile Vandervelde from Belgium, and Arthur Henderson from Britain – was a typical case in point. They had come to Russia to plead with "the people" not to leave the war, yet very few people bothered to listen to them. Konstantin Paustovsky recalls Thomas speaking in vain from the balcony of the building that was later to become the Moscow Soviet. Thomas spoke in French, and the small crowd that had gathered could not understand what he said. "But everything in his speech could be understood without words. Bobbing up and down on his bowed legs, Thomas showed us graphically what would happen to Russia if it left the war. He twirled his moustaches, like the Kaiser's, narrowed his eyes rapaciously, and jumped up and down choking the throat of an imaginary Russia." For several minutes the Frenchman continued with this circus act, hurling the body of Russia to the ground and jumping up and down on it, until the crowd began to hiss and boo and laugh. Thomas mistook this for a sign of approval and saluted the crowd with his bowler hat. But the laughter and booing got louder: 'Get that clown off!' one worker cried. Then, at last, someone else appeared on the balcony and diplomatically led him inside. ^ a b Smith, David A.; Tucker, Spencer C. (2005). "Faustschlag, Operation". World War One. ABC-CLIO. p. 663. ISBN 1851098798. ^ Haupt, Georges & Marie, Jean-Jacques (1974). "Makers of the Russian revolution". London: George Allen & Unwin: 222. ^ Chamberlain, William Henry, The Russian Revolution: 1917–1921, New York: Macmillan Co. (1957), p. 131: Frequently the deserters' families were taken hostage to force a surrender; a portion were customarily executed, as an example to the others. ^ Daniels, Robert V., A Documentary History of Communism in Russia: From Lenin to Gorbachev, UPNE (1993), ISBN 0-87451-616-1, ISBN 978-0-87451-616-6, p. 70: The Cheka special investigations forces were also charged with the detection of sabotage and counter-revolutionary activity by Red Army soldiers and commanders. ^ Dmitri Volkogonov, Trotsky: The Eternal Revolutionary, transl. & edited by Harold Shukman, HarperCollins Publishers, London (1996), p. 180: By December 1918 Trotsky had ordered the formation of special detachments to serve as blocking units throughout the Red Army. On 18 December he cabled: "How do things stand with the blocking units? ... It is absolutely essential that we have at least an embryonic network of blocking units and that we work out a procedure for bringing them up to strength and deploying them." ^ Rosenthal, Reigo (2006). Loodearmee (Estonian language/Northwestern Army). Tallinn: Argo. p. 516. ISBN 9949-415-45-4. ^ Allworth, Central Asia, 232–233. ^ Stewart-Smith,, D. G. THE DEFEAT OF COMMUNISM. London: Ludgate Press Limited, 1964. ^ Rummel, Rudolph, Lethal Politics: Soviet Genocide and Mass Murder Since 1917 (1990). ^ Robert Gellately. Lenin, Stalin, and Hitler: The Age of Social Catastrophe Knopf, 2007 ISBN 1-4000-4005-1 pp. 70–1. ^ Kenez, Peter; Pipe, Richard; Pipes, Richard (1991). "The Prosecution of Soviet History: A Critique of Richard Pipes' The Russian Revolution". Russian Review. 50 (3): 345–51. doi:10.2307/131078. JSTOR 131078. .
^ Holquist, Peter (2002). Making War, Forging Revolution: Russia's Continuum of Crisis, 1914–1921. Cambridge: Harvard University Press. p. 164. ISBN 0-674-00907-X. .
^ Колчаковщина (in Russian). RU: Cult Info. .
^ Orlando Figes, A People's Tragedy – History of the Russian Revolution (Penguin Books 1996): At the root of the Whites' defeat was a failure of politics. They proved unable and unwilling to frame policies capable of getting the mass of the population on their side. Their movement was based, in Wrangel's phrase, on 'the cruel sword of vengeance'; their only idea was to put the clock back to the 'happy days' before 1917; and they failed to see the need to adapt themselves to the realities of the revolution. The Whites' failure to recognize the peasant revolution on the land and the national independence movements doomed them to defeat. As Denikin was the first to acknowledge, victory depended on a popular revolt against the Reds within central Russia. Yet that revolt never came. Rather than rallying the people to their side, the Whites, in Wrangel's words, 'turned them into enemies'. This was partly a problem of image. Although Kolchak and Denikin both denied being monarchists, there were too many supporters of a tsarist restoration within their ranks, which created the popular image – and gave ammunition to the propaganda of their enemies – that they were associated with the old regime. The Whites made no real effort to overcome this problem with their image. Their propaganda was extremely primitive and, in any case, it is doubtful whether any propaganda could have overcome this mistrust. In the end, then, the defeat of the Whites comes down largely to their own dismal failure to break with the past and to regain the initiative within the agenda of 1917. The problem of the Russian counter-revolution was precisely that: it was too counter-revolutionary. [...] This is clearly shown by the story of the return of the peasant deserters to the Red Army. Until June, the Reds' campaign against desertion had relied on violent repressive measures against the villages suspected of harbouring them. This had been largely counter-productive, resulting in a wave of peasant revolts behind the Red Front which had facilitated the White advance. But in June the Bolsheviks switched to the more conciliatory tactic of 'amnesty weeks'. During these weeks, which were much propagandized and often extended indefinitely, the deserters were invited to return to the ranks without punishment. In a sense, it was a sign of the Bolshevik belief in the need to reform the nature of the peasant and to make him conscious of his revolutionary duty – thus the Reds punished 'malicious' deserters but tried to reform the 'weak-willed' ones – as opposed to the practice of the Whites of executing all deserters equally. Between July and September, as the threat of a White victory grew, nearly a quarter of a million deserters returned to the Red Army from the two military districts of Orel and Moscow alone. Many of them called themselves 'volunteers', and said they were ready to fight against the Whites, whom they associated with the restoration of the gentry on the land. Peter Kenez. Civil War in South Russia, 1919–1920: The Defeat of the Whites, Berkeley, University of California Press, 1977. This page was last edited on 22 July 2017, at 22:22 (UTC).